Access physical activity grades, report cards and other related documents from all Global Matrix events in which Wales has participated. Develop a national healthy and active schools research network that aims to: (i) promote healthy activity, physical literacy, fitness and well being; and, (ii) generate robust data. Engage in advocacy and seek research based approaches to reduce sedentary time in children and young people. Promote policy that invests in active and healthy behaviours and promotes inter-sectoral collaboration for future generations. 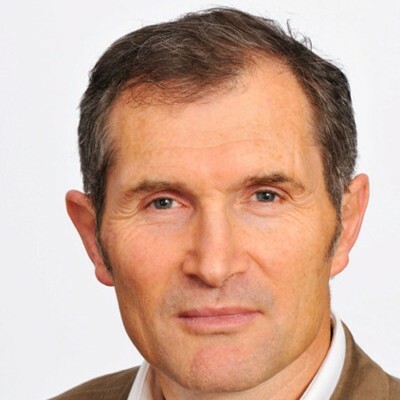 Gareth Stratton, Ph.D.Professor Stratton is Director of the Applied Sports Exercise Technology and Medicine (A-STEM) Research Centre at Swansea University and adjunct Professor at the University of Western Australia. 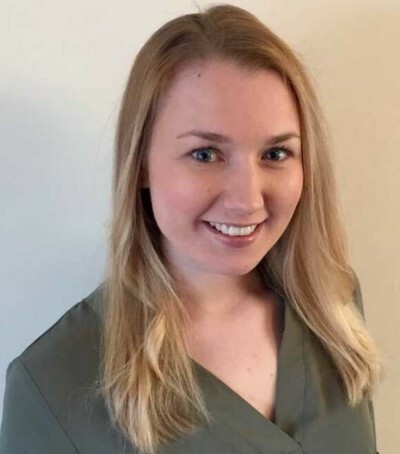 Professor Stratton has two main areas of academic interest, children maturation and physical activity and physical activity fitness and health. He has been involved in physical activity measurement studies for over 20 years and he continues his interest in the development of novel sensor technologies to detect and stimulate changes in physical activity and sedentary behaviour. Further Professor Stratton has designed a significant number of physical activity interventions in clinical and healthy populations that aim to change children’s behaviour, impact on overweight and type I and II diabetes. Professor Stratton has worked in translating research and chaired a number of national groups responsible for producing physical activity and sedentary behaviour guidance for young people. 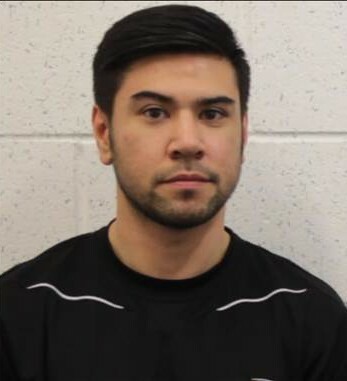 He is currently a member of the Physical Literacy Framework Group for Sport Wales, an Expert Member of the National Institute for Health and Clinical Excellence (NICE) quality standards advisory committee for childhood obesity and chair of the PH17 Promoting physical activity in children Evidence Update committee also for NICE. Professor Stratton co-directs the Sportslinx Programme that won the Louis Bonduelle Childhood Obesity Group award in 2011. Professor Stratton has published over 140 per reviewed papers and book chapters. "Wales have thoroughly enjoyed taking part in the Active Healthy Kids Global Alliance 3.0. 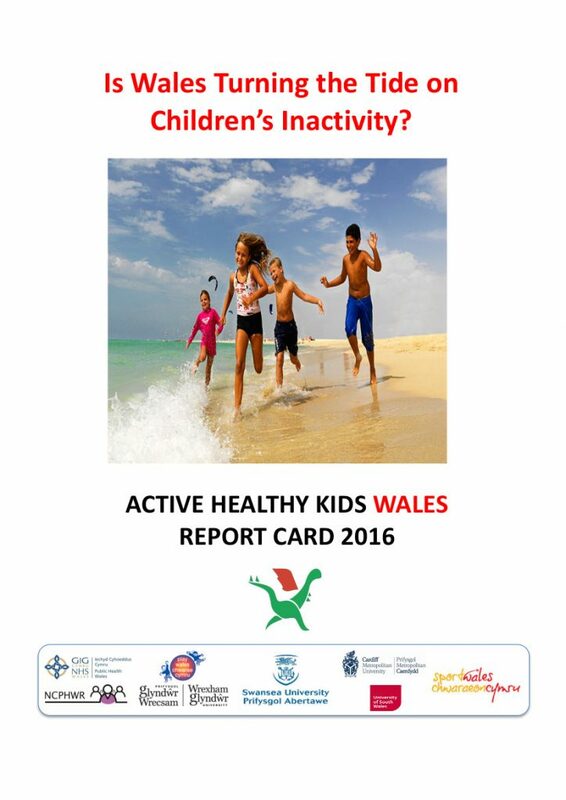 It has been inspirational to work with colleagues across Wales to co-create our Active Healthy Kids Wales physical activity report card. Alongside the 48 other countries, we will generate the impact needed to help increase children’s physical activity and decrease their sedentary behaviours!" - Gareth Stratton, Ph.D. and Lowri Edwards, Ph.D. and Richard Tyler, Ph.D. AUTHORS: Lowri Edwards, Richard Tyler, Dylan Blain, Anna Bryant, Neil Canham, Lauren Carter-Davies, Cain Clark, Tim Evans, Ceri Greenall, Julie Hobday, Anwen Jones, Marianne Mannello, Emily Marchant, Maggie Miller, Graham Moore, Kelly Morgan, Sarah Nicholls, Chris Roberts, Michael Sheldrick, Karen Thompson, Nalda Wainwright, Malcolm Ward, Simon Williams, Gareth Stratton. This is the third Active Healthy Kids Wales (AHK-Wales) Report Card following the inaugural and second report card published in 2014 and 2016 respectively. The 2018 report card consolidates and translates research related to physical activity (PA) among children and young people in Wales. The report card aimed to raise the awareness of children and young people’s engagement in PA behaviours and influences, and advocate for children’s right to be active and healthy. The AHK-Wales research work group (RWG) consisted of 24 members, and comprised of academics, postgraduate researchers, professionals and practitioners with expertise in PA and access to national data sources. Ten PA indicators were graded using the Active Healthy Kids Global Alliance (Global Matrix 3.0) methodology involving a synthesis and expert consensus of the best available evidence. The RWG also graded an eleventh indicator for Wales: physical literacy. Data from several nationally representative surveys distributed between 2016-2018 were analysed by the RWG when grading each quality indicator. Despite the existence of 21 national policies, which incorporate strategies, action plans, legislation, and guidance, geared towards promoting PA in the youth population of Wales, evidence suggests PA behaviours in children and young people remain low; conversely sedentary behaviours remain high. The RWG recommends that a concerted effort be made to generate nationally representative data on the AHK indicators and to develop effective approaches, in the context of a political climate, that seek to increase PA and decrease sedentary behaviours at scale. Keywords: physical activity, health, sedentary, play, policy, community and environment, school, physical literacy. Sport Wales – Physical Literacy: The Physical Literacy programme for schools is a targeted intervention programme working in schools from the most deprived areas in Wales. Utilising appropriate interventions schools look to support young people along their physical literacy journey. At the same time, these interventions also look to address young people’s engagement in school, improve their self-confidence and in some cases improve their numeracy and literacy. A draft physical literacy framework has been developed. Sport Wales in collaboration with Public Health Wales and the education sector have urged Government to give physical literacy the same emphasis in the school curriculum as literacy and numeracy. It is hoped that this PL framework will be adopted within the new curriculum from 2016. Curriculum Review – Successful Futures: Donaldson’s curriculum review concerning ‘Health and Well-being Area of Learning and Experience’ being a core pillar in education in order to develop young people as healthy, confident individuals who are ready to lead fulfilling lives as valued members of society. The Health and well-being Area of Learning and Experience aims to help to address concerns about physical activity and diet, for example, as children and young people engage in different kinds of physical activity and gain knowledge and practical skills for healthy eating. As children and young people develop habits that will promote their own and others’ well-being this will make a contribution to reducing health inequalities and improving well-being more widely. Active Travel Act: In 2013 the Welsh Government successfully introduced the ‘Active Travel Act’ onto its statute. The Act requires Welsh ministers to publish annual reports on the amount of active travel journeys are made in Wales. The Act makes it a legal requirement for local authorities in Wales to map and plan for suitable routes for active travel, and to build and improve their infrastructure for walking and cycling every year. It creates new duties for highways authorities to consider the needs of walkers and cyclists and make better provision for them. It also requires both the Welsh Government and local authorities to promote walking and cycling as a mode of transport. Play Wales: For outdoor and active play, Wales has an influential national government organisation that advocates for play (Play Wales). Wales was one of the first countries to integrate article 31 of the UNCRC of the child’s right to play into policy, through its Children and Families (Wales) Measure 2010. Moreover, Play Wales has been referred to as “a highly focused, policy-oriented NGO”. Healthy School Network: Wales has a successful Healthy Schools Network that includes physical activity in its delivery portfolio. A ‘Healthy School’ takes responsibility for maintaining and promoting the health of all who ‘learn, work, play and live’ within it, not only by teaching pupils about how to lead healthy lives but by enabling pupils and staff to take control over aspects of the school environment which influence their health. "The 2016 Global Summit on the Physical Activity of Children and the second meeting of the Active Healthy Kids Global Alliance will provide valuable opportunities to learn from other countries that have a more established Report Card process or are in the early years of their respective Report Cards. In the future, AHK Wales will consult with researchers, knowledge users, and key stakeholders to re-examine the Report Card framework, indicators, and processes." - Gareth Stratton, Ph.D.
Background: This is the second AHK Wales Report Card. 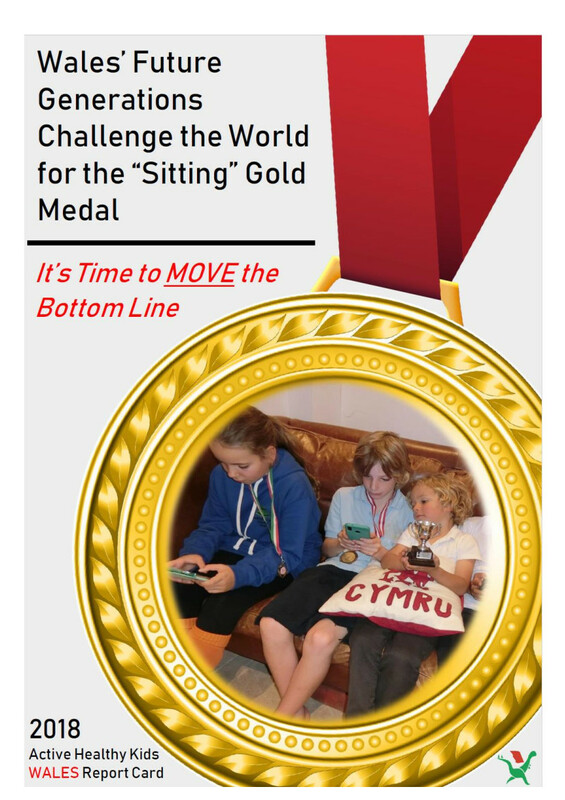 The 2016 version consolidates and translates research related to physical activity among children and youth in Wales, and aims to raise the awareness of children’s engagement in physical activity and sedentary behaviours. Methods:Ten physical activity indicators were graded using the Active Healthy Kids – Canada Report Card methodology involving a synthesis and expert consensus of the best available evidence. Results: Grades were assigned as follows; overall physical activity levels, D+; organized sport participation, C; active and outdoor play, C; active transportation, C; sedentary behaviours, D-; physical literacy, INC; family and peer influences, D+; school, B; community and the built environment, C; and national government policy, strategies and investments, B-. Conclusions: Despite the existence of sound policies, programmes, and infrastructure, physical activity levels of children and youth in Wales are one of the lowest and sedentary behaviour highest globally. From the 2014 Report Card, family and peer influences grade has improved from D to D+, whereas community and the built environment have dropped from B to C. These results indicate that a concerted effort is required to increase physical activity and decrease sedentary time in children and young people in Wales. © 2014-2019 Active Healthy Kids Global Alliance. All rights reserved.